Editor’s Note: The horrible mass murder of October 1st, 2017 in Las Vegas has changed the statistics on mass murder shootings in the worst possible way becoming the largest in American history. Surpassing the 2016 Orlando nightclub shooting where 49 were killed. The article “What Happened to Obama Era Of Mass Shootings Under the Trump Administration?” was an open ended sociological QUESTION, which was used to probe the nature and frequency of such events, as well as how they are used for political advantage. There had been a lull in mass murder shootings until the Las Vegas event, where 59 people unfortunately were killed. Since January 20 2017 there have been 28 incidents involving firearms resulting in 4 or more deaths per incident and one incident resulting in 8 deaths. All events were either crime related, work related or domestic incidents. Nothing that rose to a huge level and be used as a “mass murder shooting” for political advantage as was the norm over the previous eight years. This website is one of the only outlets that has even mentioned this and received both good and bad attention for doing so. 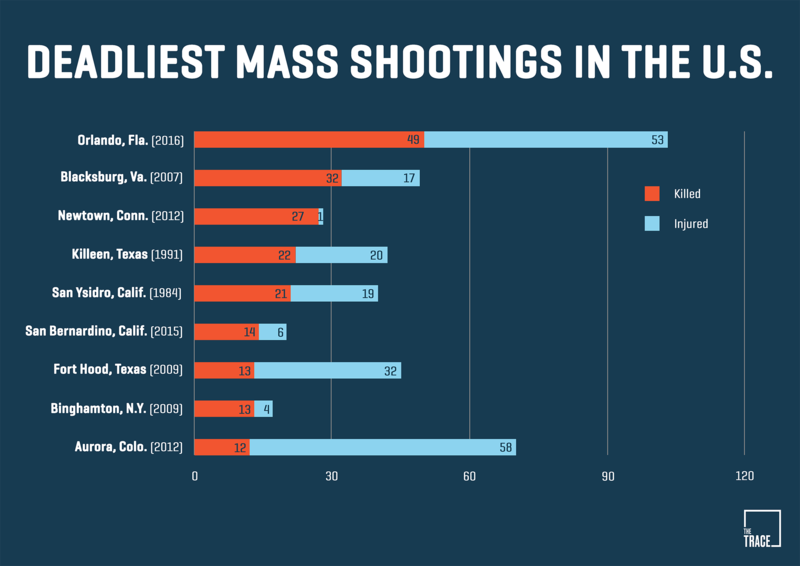 It has been horrific to watch all mass shootings in America over the last 8 years. Everyone has been traumatized by the images of carnage week in and week out. Have you noticed these mass shootings are no longer happening in America? In any political environment, it is important to observe what is actually happening not just what is being said. This is an observation only. Considering all the Machiavellian possibilities. Looking through history, it would be naïve not to question the surge of mass shootings in the Obama era in this context. Under the Obama Administration, mass shootings were up many times over any previous president. A constant bombardment of horrific incidents involving mass shootings was endured by the public during the last 8 years. It seemed every couple of weeks a deranged person was killing in mass. Hardly a month went by without these scenes being projected through the media. With hyperventilating commentary from mainstream media on how gun rights were to blame. The constant drumbeat of gun control as the only answer to stop the carnage. Obama himself saying this had become routine. Routine indeed as there was a mass shooting on average of about every 3 weeks in the last term. Some shootings in clusters and others further apart. Sometimes multiple instances in a row when certain legislation was being pushed. Always used to for political advantage. Accompanied by ridiculous coverage ready to go by the mainstream media. In many instances, the killers were known to the Intel Agencies like the San Bernardino shooters and the Boston Marathon bombers. Yet the Intel Agencies were called off months before each incident. This has happened many times. Instead of talking about false flags, Operation Gladio, or the Obama justice departmentprotecting their wind up toys from an investigation. Let’s ask a simple question. What happened to all the Obama Era Mass Shootings under the Trump Administration? What happened to all the Obama Era Mass Shootings under the Trump Administration? We are already well past the longest time without a mass shooting under Obama. Statistically, if these were all organic events, there would have been one by now. Under Obama, there would have been several by now. Sometimes week in and week out. Trump has been in office for over 200 days. Not one mass shooting with over 4 or 8 deaths. Which is what the F.B.I. considers a mass shooting. Canada had a conveniently timed shooting when the temporary travel ban was introduced but nothing in America. There was the shooting at a congressional baseball game that was politically motivated. Yet we are talking about the mass shootings during the Obama administration where 4 or more or 8 or more died. Not one of these incidents have occurred under President Trump in 153 days. Why? Why hasn’t there been many of these attacks in America since Trump was elected? Perhaps without the lax oversight or outright protection of a corrupt justice department. These wind-up toys can no longer operate in the continental United States. In the most heavily surveilled population on the planet, it would be very difficult to pull off one of these operations if the government were actually intent on stopping them. These types of operations take money and coordination that is very detectable by Intel agencies. Trump has instructed the Justice Department to focus resources on actual terrorists, not veterans and gun owners. Breaking up and disrupting plans that would have gone through under Obama. Bringing to bear all of the surveillance tools used on the American people to stop actual plots. Is this what we are seeing? Now there is no clear political advantage is to be gained through such acts by the establishment, mainstream media or gun control advocates. If a mass attack were to happen, it would only bolster Trump’s calls for better vetting of immigrants, border security, and 2nd Amendment rights. So they stop. Very interesting. Of course, mass shootings and terror attacks will never completely end. Yet the suspicion is there will be much less under a Trump Administration. Just an observation that many may be thinking themselves.